Extended headroom/SPL and protection in combination with SDP modules (with ALC). 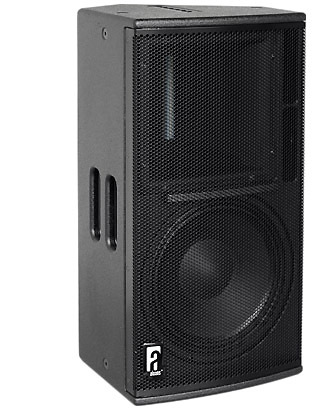 The VR12/60 is a 2-way compact multi-purpose loudspeaker, for both portable and permanent applications. Featuring the patented RBN601 proribbon driver, the VR12/60 is ideal for applications where high output, high quality reinforcement is needed. The RBN601 is mounted on a “non-revolvable” 60°x30° wave-guide and projects with “Real-60” horizontal dispersion up to 20.000Hz.. The system includes dedicated filtering, but system equalizing is done remotely (electronically) fully utilizing the individual speaker components’ power capacity. This results in dramatically increased headroom SPL. The Signal Integrity Sensing™ pre-wiring ensures complete cable/connector compensation between VR12/60 and ALC. The asymmetrical enclosure design provides for very flexible mounting (ceiling, wall) and usage. For full system performance, the VR12/60 needs to be driven by an ALC controller-amplifier. The SpeakerDriveProcessing™ circuit of the ALC offers dedicated protection and filtering, with remote system equalizing; By fully utilizing the individual speaker components’ efficiency, this results in a 5dB increased headroom from 800Hz., under dedicated inaudible (power and excursion) protection.